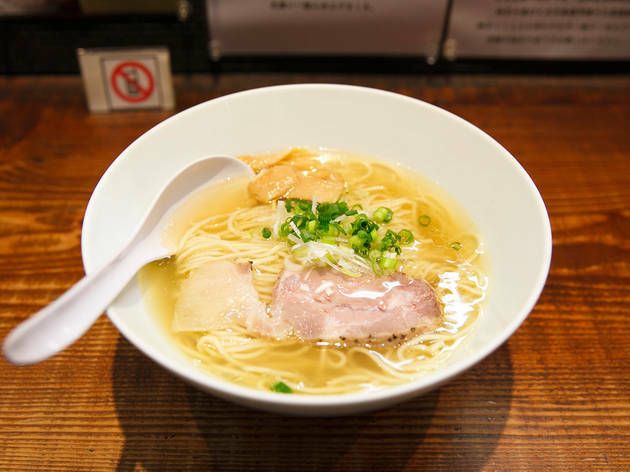 You'll have to walk a good 20 minutes from Machida Station to reach this award-winning noodle house that really deserves a more accessible location. As the shop name suggests, Shinka does salt-based ramen with aplomb, cooking up a flavourful, brand chicken-based soup seasoned with 'flying fish' from Nagasaki and finished off with six (!) kinds of salt. 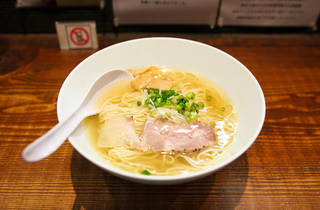 Combined with medium-thick straight noodles, this is a masterpiece worth making the trip for. On repeat visits, try going for their niboshi or tsukemen versions.